Back view of young woman walking alone at the city centre. Pensive female going near the road in bright sunny day. Back view of girl walking alone in old town. Brunette woman going through the street. Female have vacation in Europe. Back view of young lady walking in the city centre alone. 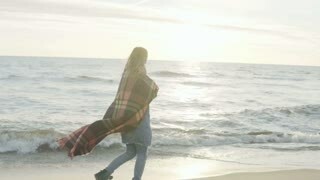 Female with long hair going near the road, enjoying the day. Back view of young woman with long hair walking in the city centre alone. Female going near the road and dreaming. Back view of young hipster couple walking in the city and talking. Beautiful man and woman going near the road. Back view of young attractive woman walking in ice lagoon. Pensive female exploring the famous sight in Iceland alone. 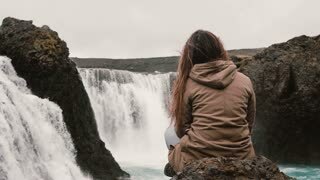 Back view of young pensive woman sitting on a rock alone and looking on powerful waterfall in Iceland.